I associate New Jersey with many things. Some are good: Sea Isle City, The Jersey Shore (I mean this with all sincerity: seasons 1 & 2 were priceless trash pleasure-it sucked once they realized they were famous), and my boy Bruce. Some aren’t as good: the smell of garbage, people whose life is The Jersey Shore, and girls who have “Italian Princess” vanity plates on their cars. 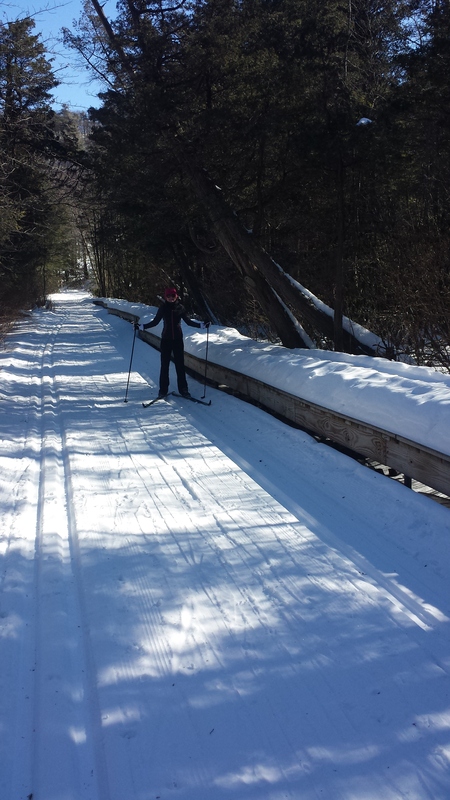 Something I’ve never associated with New Jersey is cross country skiing in a picturesque, snow-covered environment, yet on this February’s Friday the 13th, that’s exactly what I found myself doing. 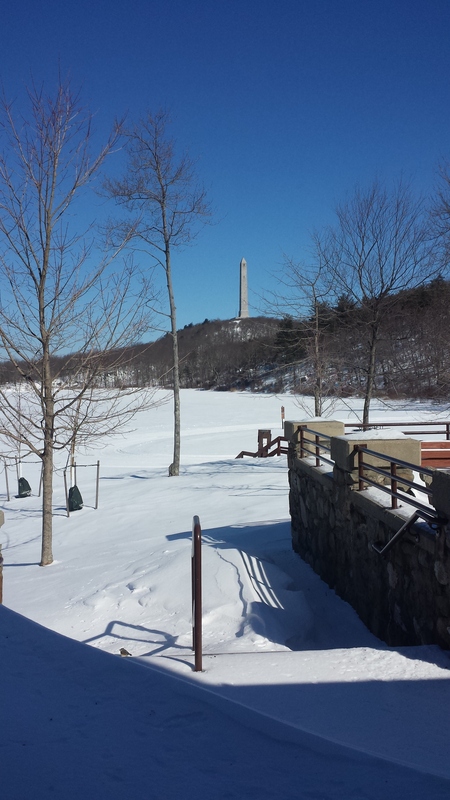 My sister and I took a little roadtrip to New Jersey’s High Point Cross Country Ski Center over President’s Day weekend. 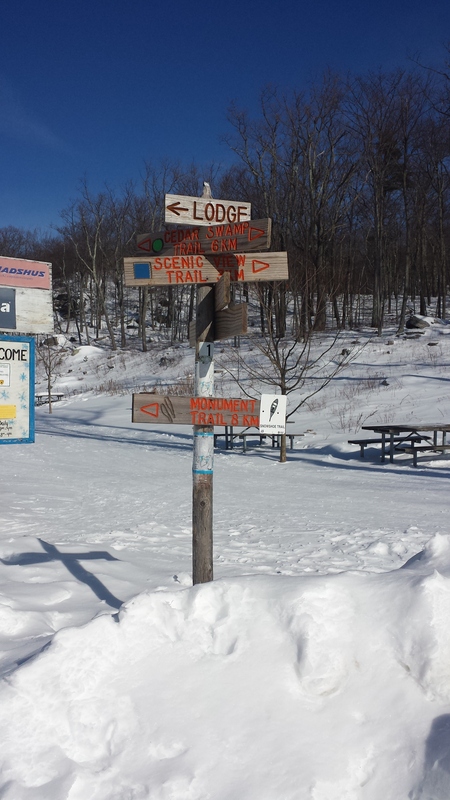 The ski center, located in High Point State Park is the highest point in the state of New Jersey and a real easy trip from Northeast PA-in fact the park is only 4 miles from the PA border and the High Point monument, marking said highest point in the park was visible as we drove up 84 through Matamoras. I’ve been fortunate enough this winter to cross country ski at a number of new locations, and I’ve already tried my best to convince you what a great sport it is, so doing that again is only going to get redundant. 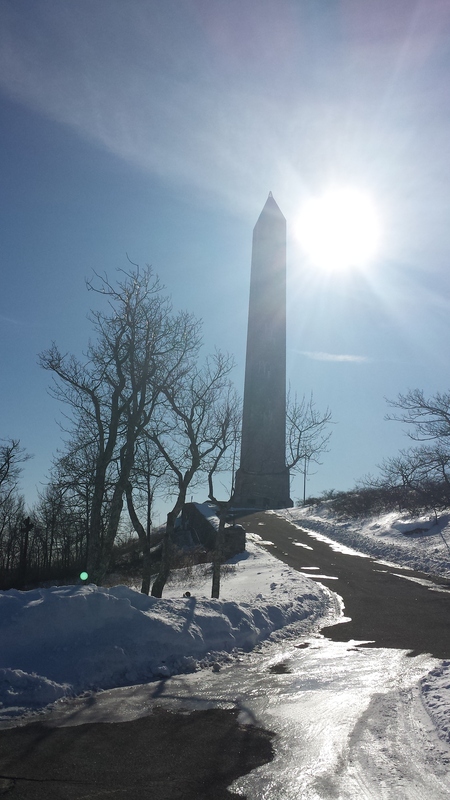 High Point is a gorgeous place to ski, with sweeping views of Jersey, a cool gimmick in skiing in the shadow of their monument, and a variety of trails to chose from. We picked a great day, sunny, with fresh powder. The main problem was that when we parked, the temperature was 8 degrees. Skiing through the swamp-notice the raised walkway to my sister’s right-where we were skiing would normally be wetlands. She actually has an irrational fear or swamps, so this was a big moment for her. We paid the fifteen dollars it costs for trail fees and headed out across the lake to the Cedar Swamp trail, which the lady at the counter suggested for it’s wooded protection against the wind. The first half a mile or so was miserable, and my face seriously hurt, but she was right. Once we got going, and where sheltered from the trees, it was a great day to be outdoors. I think I even broke a little bit of a sweat. 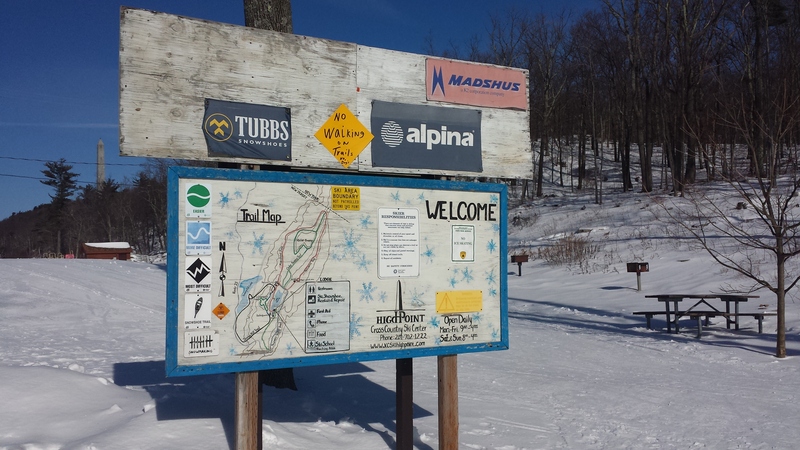 The High Point Ski Center has both XC ski and snow shoe rentals, and one of their trails, the Monument Trail is dedicated solely to snowshoeing. 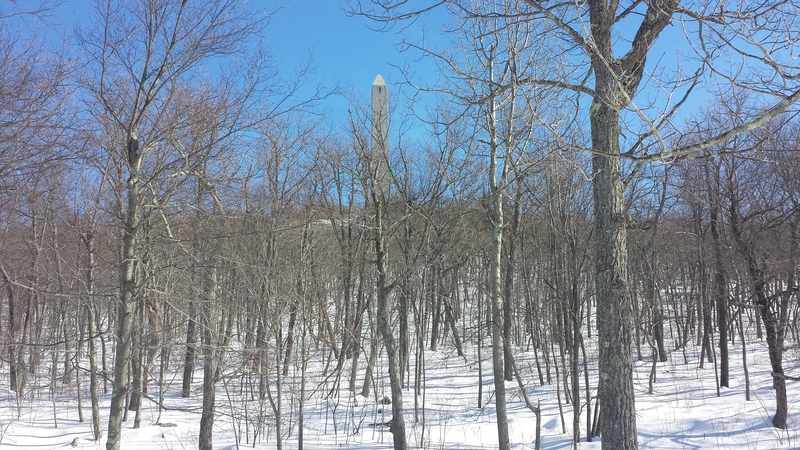 We attempted at one point to ski up a portion of it, since it had the best views and went right around the monument, but ended up giving up completely after one hellish uphill climb. 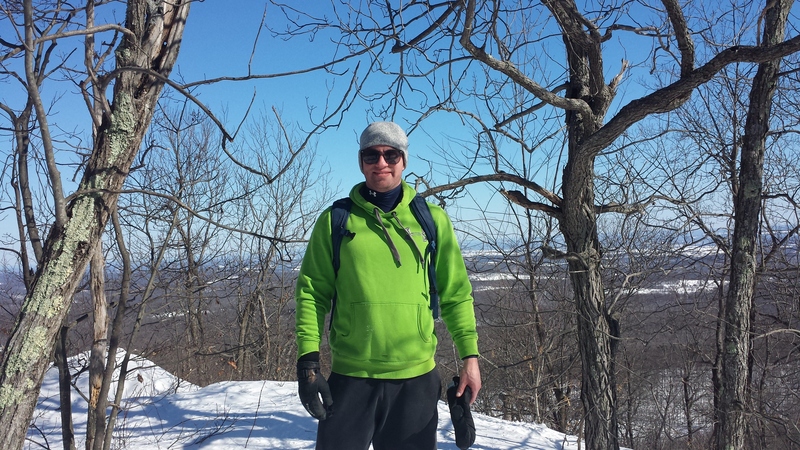 We took off our skis and climbed the rest of the way up just to see what was in store and realized skiing this portion would be a fruitless challenge-I would really like to return to snowshoe it some time. Posing for a glory shot after our excruciating botched hill attempt. 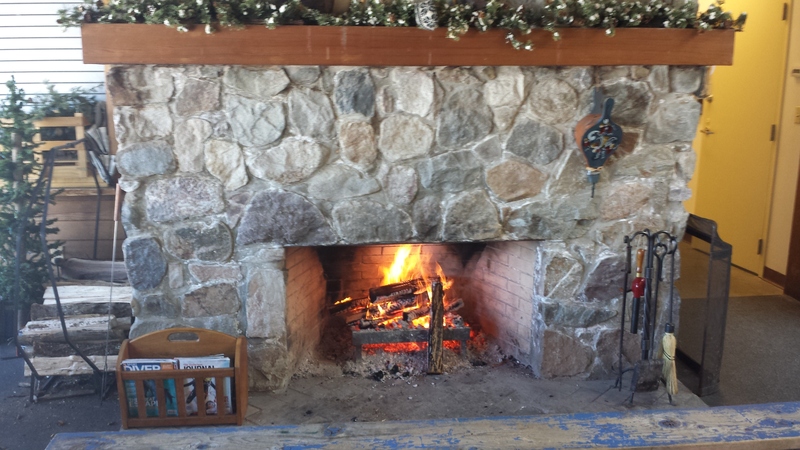 After a solid ski, we returned back to the ski center to chug some gatorades and chill out by the roaring fire I didn’t know I needed in my life. Not too close though: one of the guys working was telling us how just the day before a woman melted her never worn brand new boots by putting them too close for too long. High Point’s trails are groomed, the brochure pointed out, by the same type of groomer that groomed those in the Lillehammer Olympics in 1994 (there were homages to these Norwegian Olympics all over the place-one of the trails we skied was the “Lil’ Hammer”), and ideal for someone who’s never skied before-definitely worth the trip, and a plus for folks who want to try XC skiing and snowshoeing. The roaring ski melting fire we warmed up at after our ski.